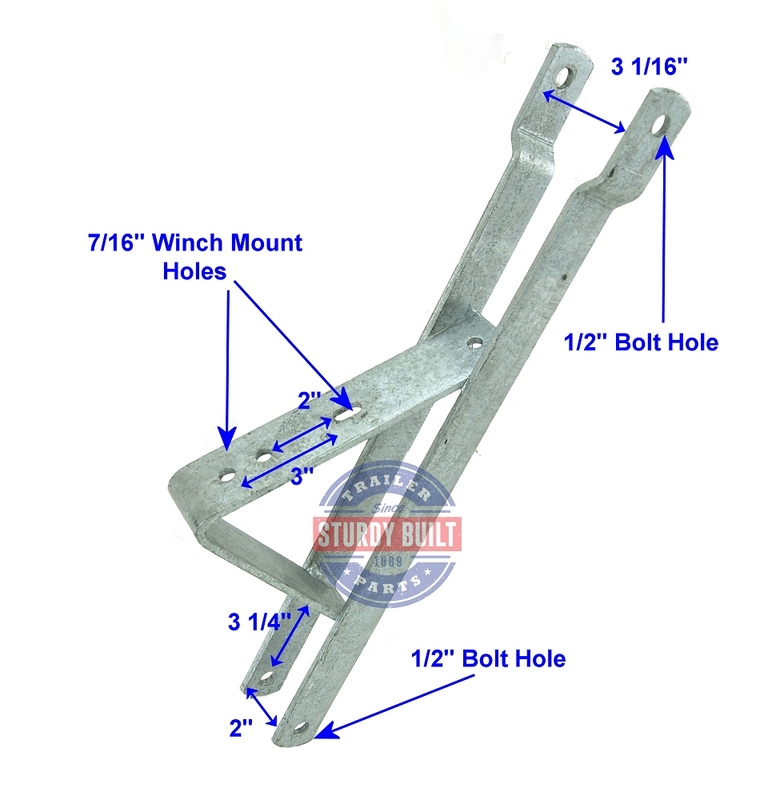 This Winch Stand is designed to mount on 2 inch Wide Winch Posts. 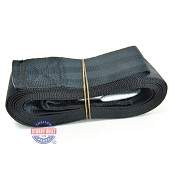 The most common angled winch post that this would mount to would be a 2 inch x 3 inch Winch Post. You can reference the pictures for more exact measurements, but in most cases, this would be an exact replacement for what you have on your trailer. 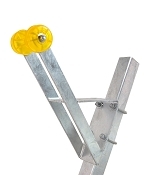 This style of winch stand is very popular on most brands of light duty boat trailers. 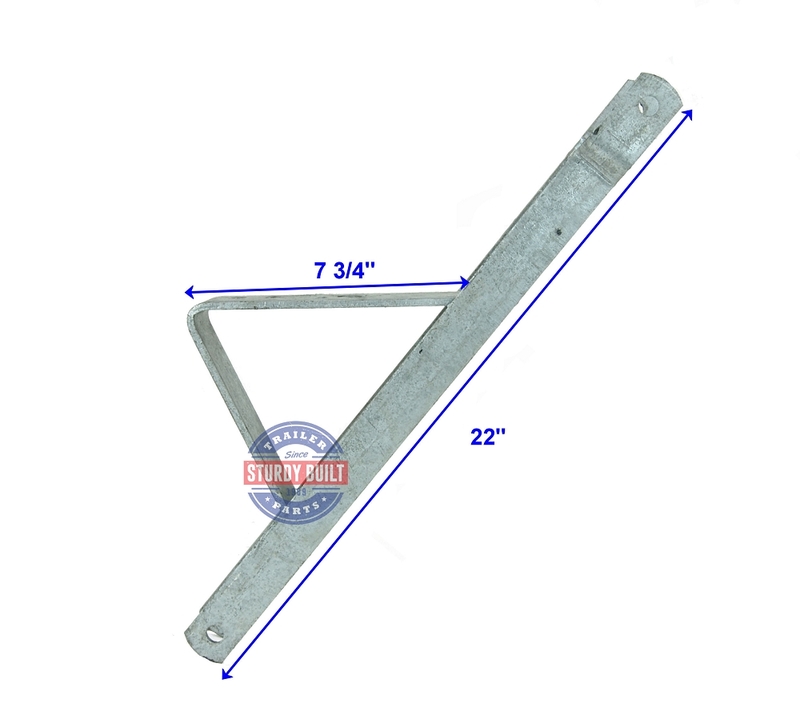 This galvanized winch mount bracket accommodates all models and capacities of hand crank boat trailer winches. Additionally, you can mount a 3 inch wide Boat Trailer Roller for securing the bow of your boat using a 1/2 inch Trailer Bolts. 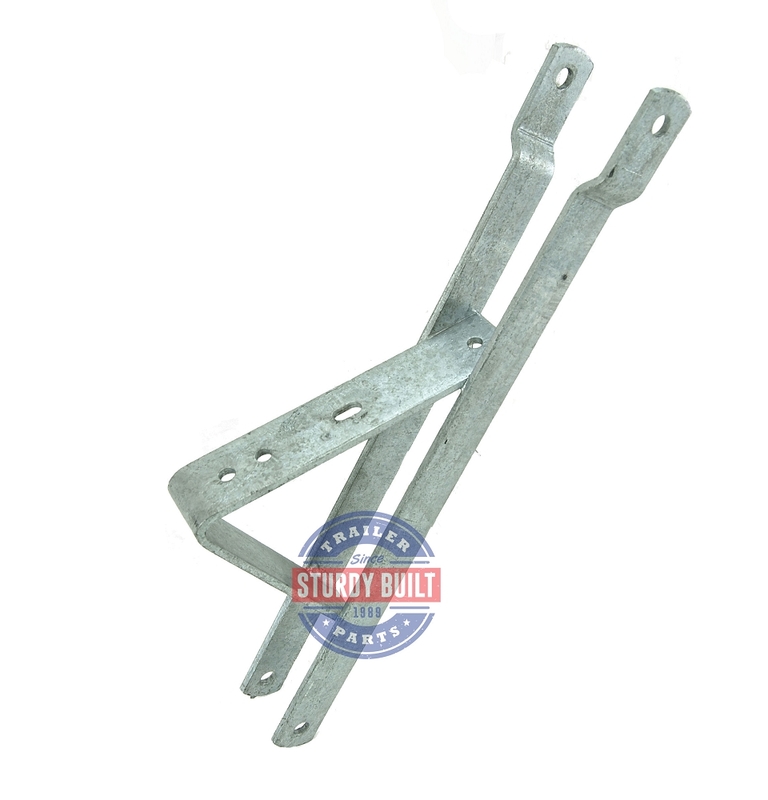 This winch bracket is made of 11 Gauge Galvanized Steel, heavy duty and great for all types of small boat trailers.